I use my iPad for more general computing than any of my other hardware. The convenience of a tablet simply fits within my workflow. One of the things That I use the tablet for is as a teleprompter. The only problem is finding a way to place the tablet at eye level for the subject while shooting. Because of this I am always looking for a tablet stand that is adjustable, and will work without placing it on a table or other surface. 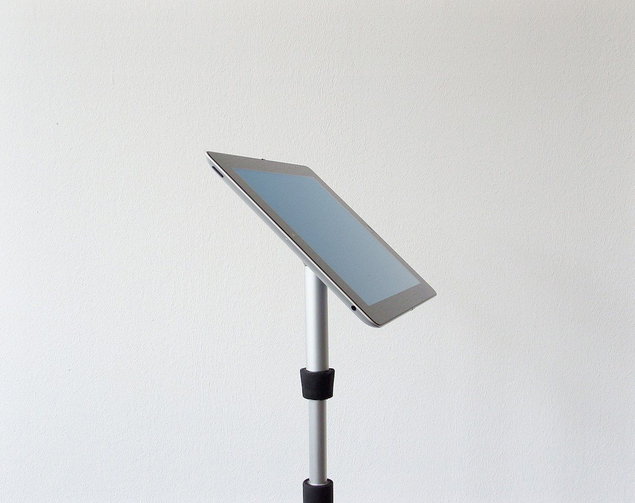 Designed by Armin Muller, and Kai Trebesius in Hamburg Germany, Mangroovv is making a tablet stand that is simple, functional, and well designed. 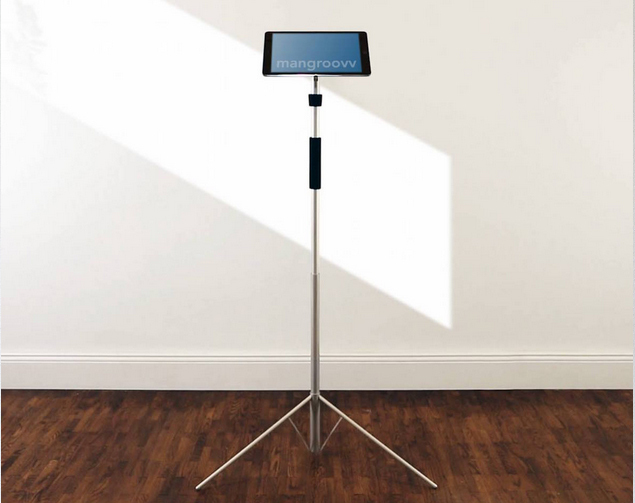 More importantly it is a free standing device that adjusts from sitting to standing height making it perfect for any occasion where you need both hands and a table stand won’t do. Mangroove weighs in at a light 1.8 pounds, the extendable feet automatically deploy allowing it to rest on a variety of surfaces, and collapsing when you pick it up making it ultra portable. The rotating ball head allow you to position your tablet at any angle, and there is no locking mechanism needed to hold your tablet in place. I’m sold. This is a really well designed functional stand that I know I’ll be using on a regular basis. Posted in Design and Art, Technology and tagged Android, Armin Muller, Design, Industraial Design, iOS, iPad, iPad Stand, Kai Trebesius, Mangroovv, Tablet Computing, Tablet Stand on March 6, 2015 by Author.